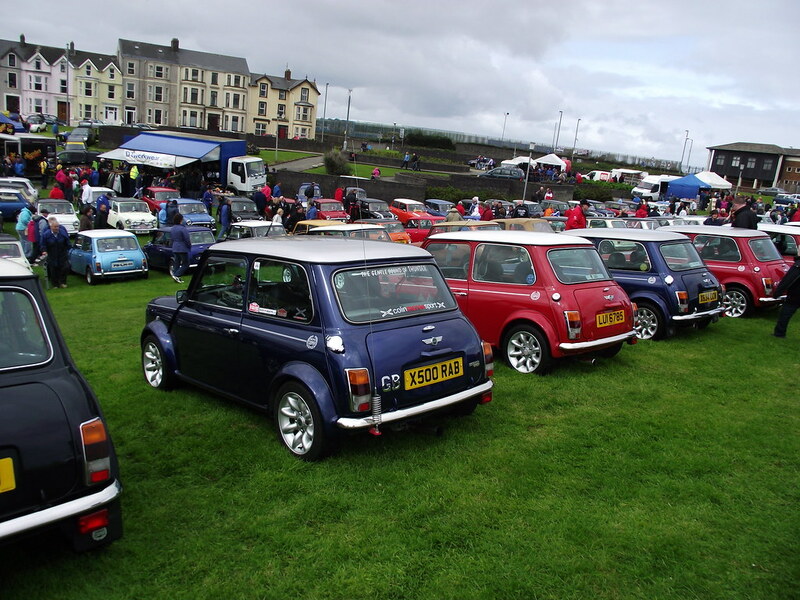 It's time for the annual trip along the Causeway Coast to Portrush for the Mini weekend. A pleasant crossing from Troon to Larne, then an enjoyable run up the twisty coast road, with a slight detour along the Torr Road with its never ending steep climbs and turns. On Saturday, 190 Minis gathered at Bushmills for the annual Nellie's Dash O' the Irish, with a regroup at Port Stewart after a spin round the go-kart track, then carried on the run back to Portrush for tea, cakes and biscuits. Sunday was rather cloudy with some showers and very windy. 400+ Minis gathered at the Dunluce Centre for the static show where the local people turned out in their hundreds to give us their support. At 4.15pm the day ended with the Morrelli's Ice Cream Cavalcade around the streets of Portrush. 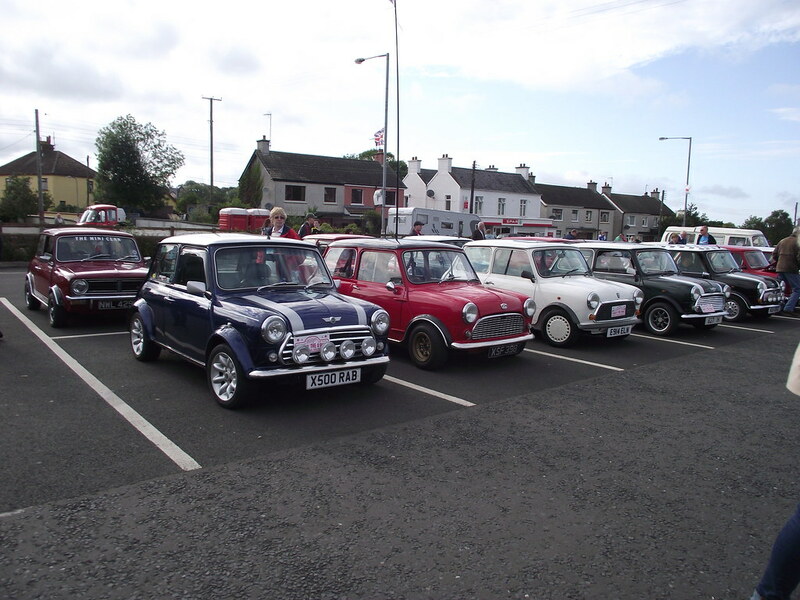 Thanks to the Causeway Coast Mini Club for their hospitality. Thanks from The Clan to Rab and Moira for their smashing Run Report!